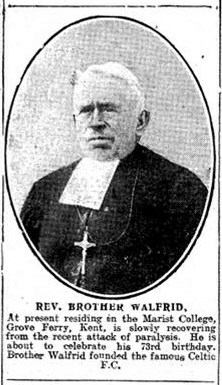 The man credited with founding Celtic Football Club passed away one hundred years ago today. On Wednesday night, before the Kilmarnock game at Celtic Park, Celtic supporters donated an estimated £30,000 in food and over £3,000 in cash to help various foodbanks throughout Glasgow and beyond who play such an important role in helping those in dire need of support in our modern society. The food collection was organised by a team of volunteers and the Celtic FC Foundation, ordinary fans, who gave up their time freely (and some of whom missed the game itself) to ensure the food was distributed to the organisations as quickly as possible. Their efforts, as well as those who donated hundreds and hundreds of bags of food on their way to the match, demonstrate that the ideals that Brother Walfrid (born Andrew Kerins) lived by and on which our club are founded, continue through to 2015. The club itself have organised a lunch at Celtic Park today for 500 homeless people from our home city of Glasgow – again with the Foundation supporting the event. It has been truly uplifting to see such great work being done for charity in commemoration of the Sligoman’s centenary anniversary. 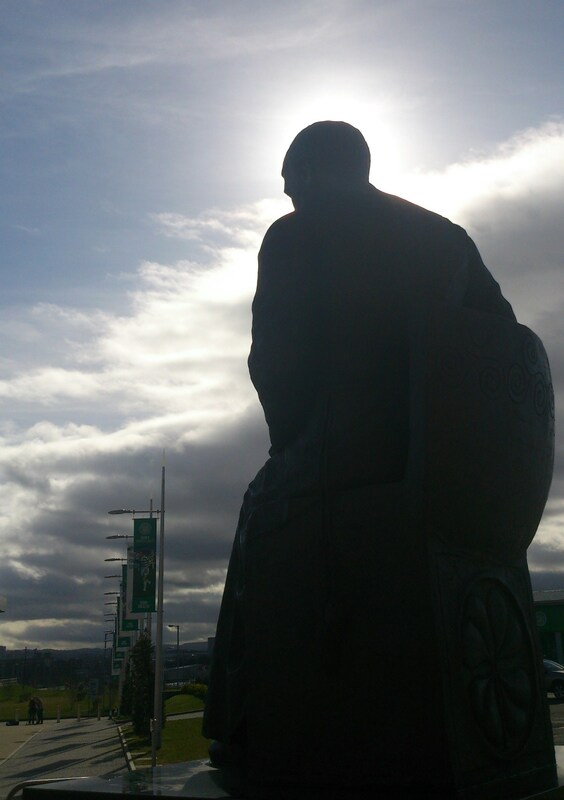 Long may the ethos that Brother Walfrid lived by and the football club he created continue to survive and prosper. The scene is one of pure tranquillity. Flowing from Templehouse Lake, the Owenmore River is a haven for anglers in the countryside of County Sligo in Ireland’s north-west. The river runs past the townland of Cartron Phibbs, a scattering of houses and farms in the hinterland of the market town of Ballymote (population: 1,539). It was in this idyllic setting that Andrew Kerins was born on 18th May 1840 to his father John and mother Elizabeth. His remarkable life was to take him away from the peace of rural Sligo to some of the worst slums that nineteenth century Europe had to offer in the service of God as a member of the Marist teaching order. 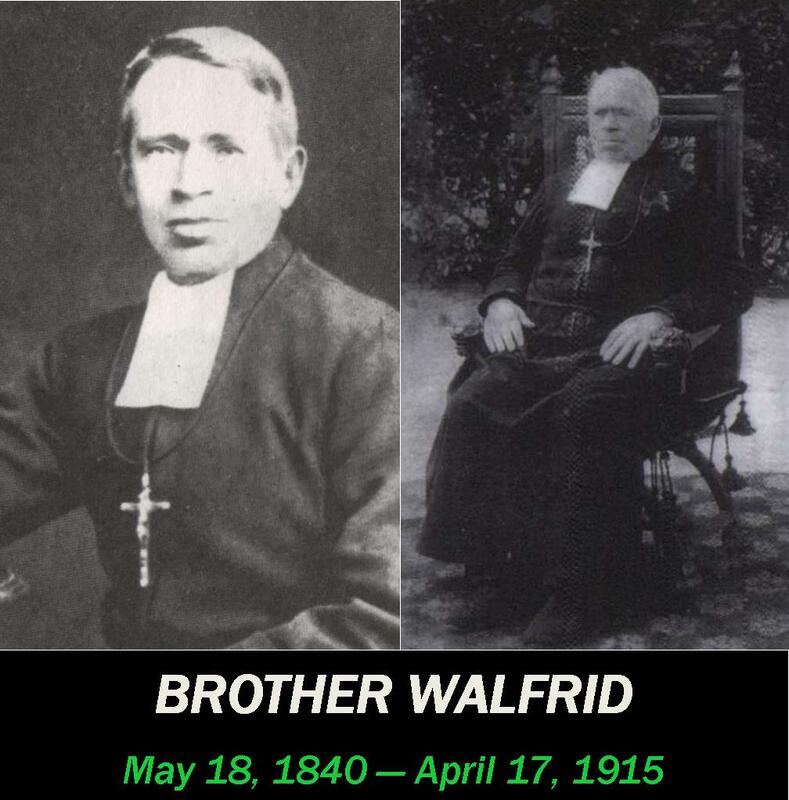 As the centenary of his death approaches on 17th April 2015, it is fair to say that the Marist motto – Ignoti et quasi occulti in hoc mundo (‘hidden and unknown in the world’) – does not apply to the legacy of the man still recognised and respected across the globe by his Marist name: Brother Walfrid. There is no mention of what many consider to be Andrew Kerins’ greatest achievement. 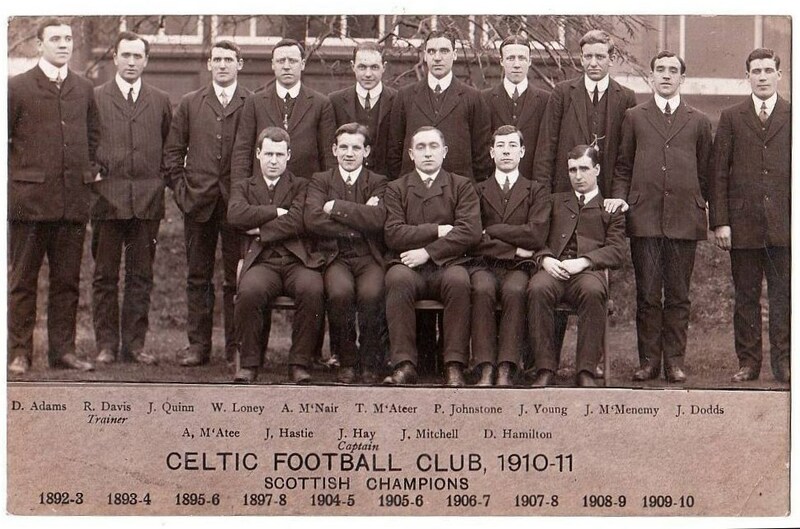 Yet from the perspective of the Marist himself, the founding of Celtic Football Club was not an end in itself but one of a number of projects which he devised in his role as teacher and latterly headteacher in the service of immigrant Irish communities in Glasgow and London. His life – and his legacy – was about much more than football. Andrew Kerins grew up in the face of the worst episode in Irish history. Aged only five, the farming family which he was born into had to withstand the devastating effects of the colonial mis-management of the failure of the potato crop. Famine stalked Ireland from 1845 to 1851 and County Sligo and neighbouring County Mayo were among the worst areas affected with it is believed each county sustaining approximately 60,000 deaths each year in that period. The true figure will never be known. 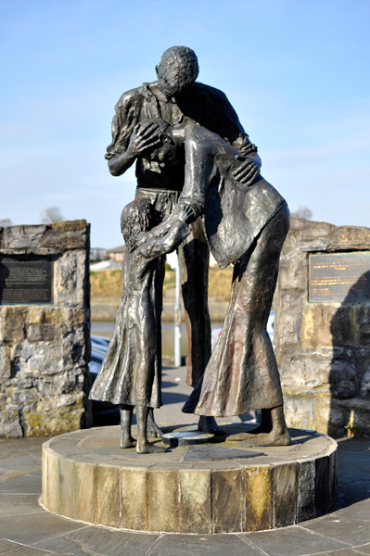 There is a ‘famine graveyard’ at St. John’s Hospital in Sligo Town which hosts the remains of over two thousand people. Many such places exist throughout Ireland. At the same time as Sligo Harbour witnessed the departure of thousands of Irish fleeing starvation and disease it also was one of the places from where food was exported simultaneously to England. Andrew Kerins survived but he was forced to leave his family aged 15 in search of work as the land could no longer sustain him as well as them. For hundreds of thousands of impoverished Irish desperate to escape the aftermath of An Gorta Mor (The Great Hunger), dreams of a new life in America or Australia could not be fulfilled because of the transport costs. The poorest could only afford the journey to either Glasgow or Liverpool, the nearest and cheapest escape routes, and it was to Scotland that Andrew and a friend came in search of work on the railways. They took the coal boat from Sligo harbour and landed at the Broomielaw on Glasgow’s Clydeside. 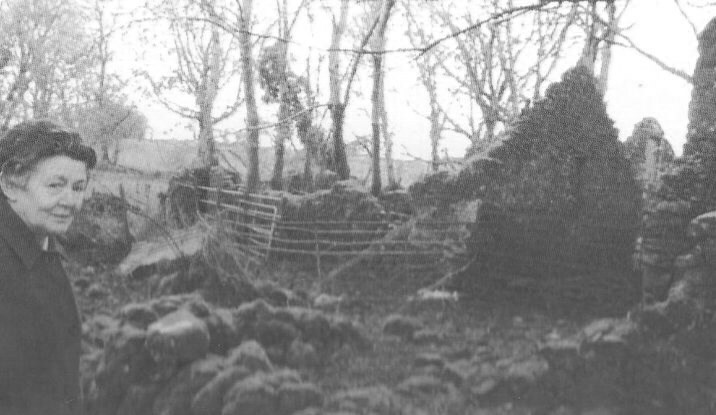 The cottage where Andrew Kerins was born in Cartron Phibbs lies in ruins in today. Glasgow in 1855 was no place for the faint-hearted. Industrial development was taking place on an unseen scale and thousands of Irish navvies and other workers had already made their way to Scotland to provide the labour for huge projects such as canals and reservoirs. The initial trickle of Irish immigration had turned into a torrent. In one ten-day period in August 1847 over 11,000 Irish landed at the Broomielaw looking for shelter, food and employment. By 1881 it was estimated that 327,000 people had left Ireland for Glasgow. It is little surprise that Irish names are so common throughout the west of Scotland today. While in 1850 there were only five Catholic churches in Glasgow and the surrounding areas, by 1884 this number had increased to fifty-four parishes to meet the spiritual needs of the new population. The teenager from Sligo would have had first-hand experience of the desperate social conditions faced by the immigrant community which he helped form. The Irish had flocked into the Briggait and Saltmarket on Clydeside, up the High Street to the Garngad and Springburn and eastwards to the Calton, Bridgeton and beyond. Living in cheap, overcrowded accommodation where decent sanitary provision was unheard of, squalid conditions allowed disease to spread easily and these areas of Glasgow experienced some of the worst child mortality and life expectancy rates in Europe. Employment prospects for immigrants were restricted by prevailing attitudes among the native Scots stereotyping the Irish as ignorant and feckless, distinguished by religion and language and resented for their impoverished state. This was the Glasgow in which Andrew Kerins spent his formative years. Little is known of his early life in Glasgow until, at the age of 24, he took the life-changing decision to join the relatively unknown teaching order, the Marist Brothers (Society of Mary). This meant taking life-long vows of poverty, chastity and obedience and the order’s special devotion to Mary, the Mother of God. The Marist Brothers were initiated by a French priest, Marcellin Champagnat, in 1817, to meet the spiritual needs of young people through the medium of education. 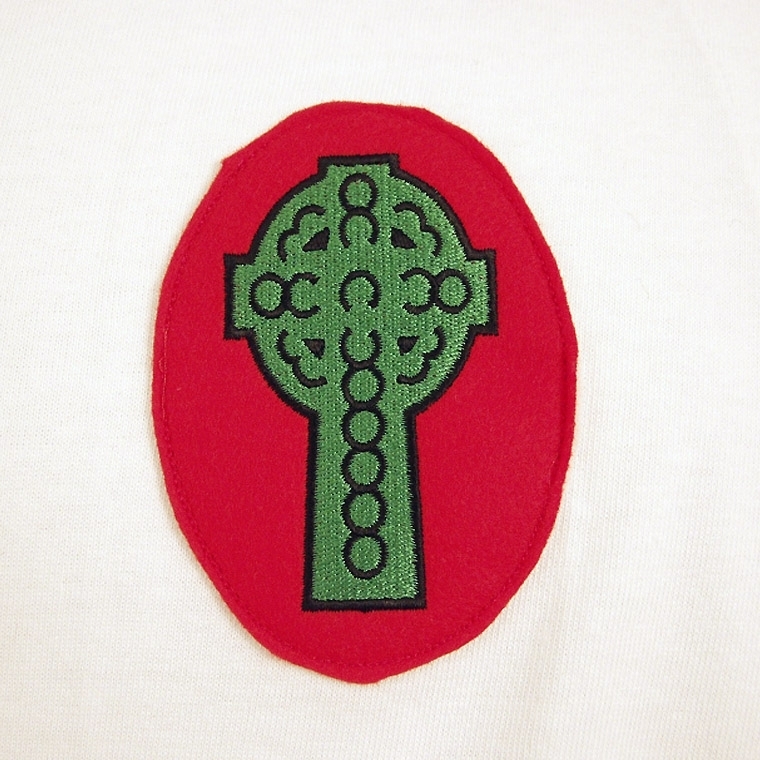 The year prior to Andrew Kerins joining the order it had received formal approval from the Holy See and from then the Brothers carried the title of ‘Fratres Maristae a Scholis’ (Marist Brothers of the Schools). At the time there was no absolute state provision for schooling and the nascent Catholic Church in Scotland turned to the Marist Brothers for support in staffing the schools needed to meet the needs of the increasing Catholic population. From St John’s in Dundee to St. Joseph’s in Dumfries and a number of Glasgow academies, the Marist Brothers established a reputation for the breadth and quality of learning they provided. It is not known what attracted the young Kerins to the teaching order. The Marists had been active in his native Sligo but it is likely he was aware of the growing number of Marist-run schools in Glasgow, the first being St Mungo’s Academy at Garngad Hill in 1858, six years before he arrived by the Clyde. He may have attended some of the adult night classes which the Marists introduced at their Glasgow schools for adults. The educational emphasis of the work of the Marists would certainly have been a factor in Andrew’s decision to join that particular Catholic order. He learnt even more about this in his novitiate training which he travelled to France to undertake in 1864. 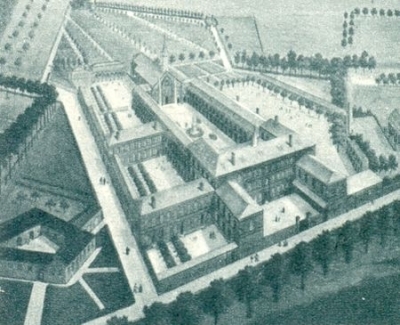 The Marist community had established a training campus at Beaucamps near Lille in northern France and all who sought to become Brothers were required to undergo their probationary periods there. Andrew Kerins would spend over four years at Beaucamps and it was there he received his Marist habit – and a new name which signified the new life to which he was now committed. 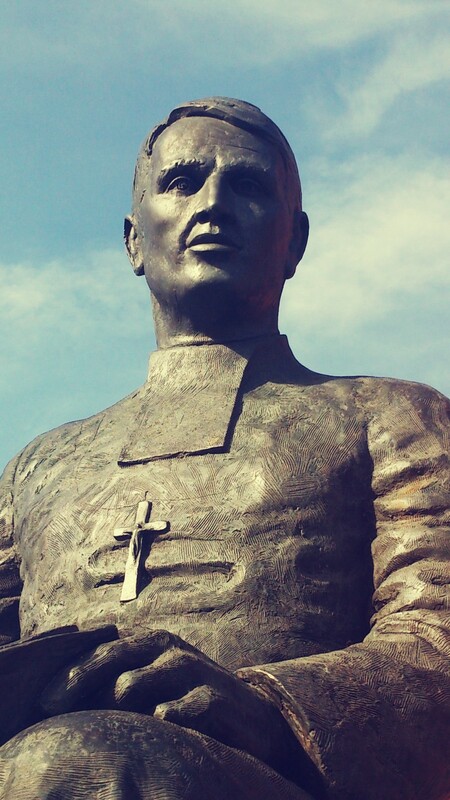 It was customary at the time for Marist Brothers to be given a name by their superiors rather than select one themselves and this was how Andrew Kerins came to be known to the world as ‘Brother Walfrid’ after an eighth-century Italian saint called Galfrido della Gherardesca. It was an unusual name especially in nineteenth-century Glasgow, where Brother Walfrid returned in 1869, but not unusual in Marist circles: the three Brothers who helped establish St. Mungo’s school in the city were called Procope, Tatanius and Faust. Walfrid was first assigned to the junior school attached to St Mary’s Church in the Calton, one of the biggest Catholic parishes in the city. At that time Catholic schools were outwith the state education system and self-funding: attendance was not free. At St Mary’s the cost ranged from one penny in the Lowest Standard to three or four pennies in the Highest Standard. Those pupils who couldn’t afford the penny often had the cost met for them by the local Saint Vincent de Paul Parish Conference. For many families though, the choice between a penny and a week at school was often no choice, such was the hardship being faced. Walfrid started to think of ways to get more children to school by making the experience more attractive and getting them into good habits, both academically and athletically. He started a football league at St. Mary’s and also set up a literary society to encourage reading out of school hours. He cultivated a network of employer contacts in the city’s east end to help identify work placements for when his pupils came of age. 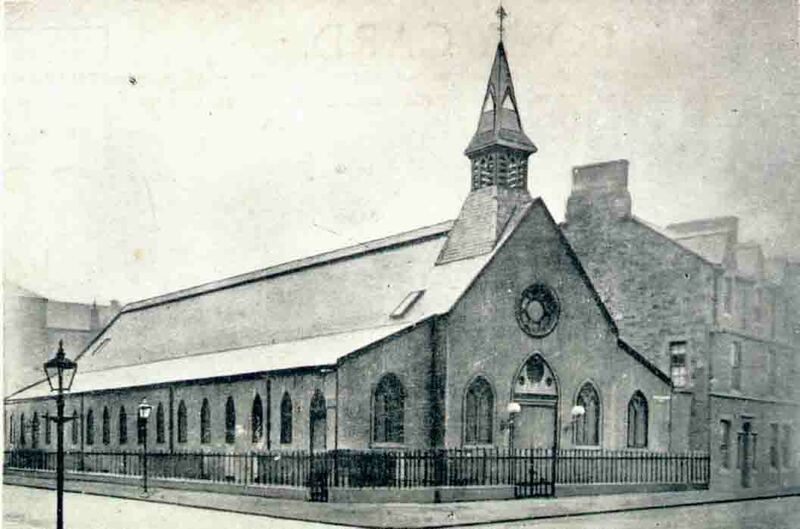 Within five years Brother Walfrid’s efforts were rewarded with a school of his own as St. Mary’s Parish established a new mission in Bridgeton to cater for the growing numbers of immigrants in that former village. In 1874 he was appointed the Headmaster of the new Sacred Heart School in the Glengarry area of Bridgeton, which took its name after the original home of the first Catholic Highlanders to settle in post-reformation Glasgow. Given the fiercely bigoted reputation which this part of Glasgow enjoys today it is all the more remarkable that it was on these streets that Brother Walfrid started a train of events which led to the creation of Celtic Football Club, the most significant symbol of the Irish Catholic diaspora in modern Scotland. At Sacred Heart, Walfrid developed his earlier ideas for increasing school attendance and addressing the social problems experienced by the youth of the community. There were a number of motives at play. In order for the community to develop, children required a formal education. The more regular school attendance, the greater the government grant towards the upkeep of the school which freed up the funds raised by the St. Vincent de Paul Society to address need elsewhere. There was also a danger that hungry youngsters might turn to the increasing numbers of soup kitchens being run by Protestant churches in the East End where they would be rewarded with sustenance in exchange for conversion away from their Catholic faith. The perceived danger of ‘taking the soup’ would have been familiar to Walfrid from his own youth in Sligo as such soup kitchens had become an established feature of life in parts of Ireland during the Famine years. Walfrid decided that setting up a ‘penny dinner’ scheme in the school would help ensure that the children would receive at least one good meal per day and encourage attendance. The token payment of a penny would save the face of those parents who didn’t want their families to be seen as being dependent on charity, although payment of a penny was never insisted on. 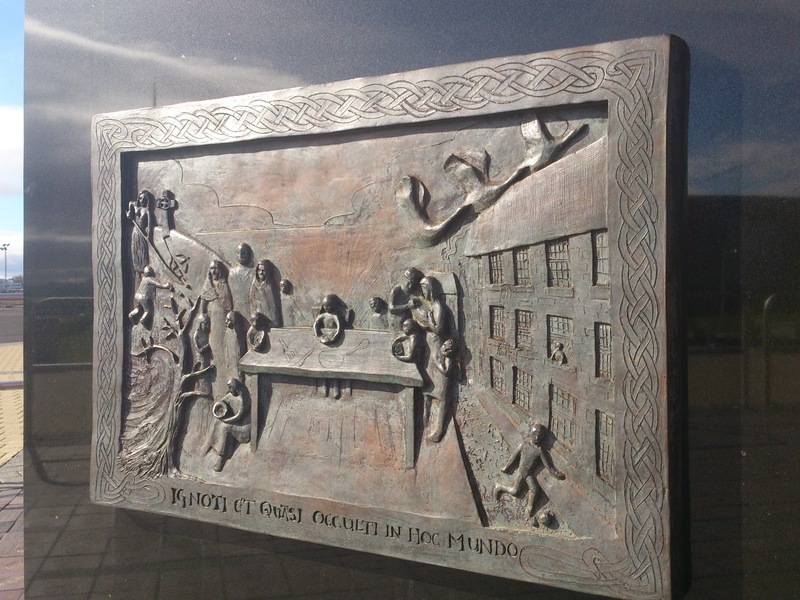 To set up this pioneering scheme of effectively free school dinners Walfrid turned to the local SVDP Conference for help and it was in Savoy Street, Bridgeton, behind the Sacred Heart School, that shop premises were rented to house the first kitchen set up to provide food for the Poor Children’s Dinner Tables. Brother Walfrid later wrote of the scheme some years later in the Glasgow Observer: ‘Should parents prefer, they could send the bread and the children could get a large bowl of broth or sup for a halfpenny, and those who were not able to pay got a substantial meal free. This has been a very great blessing for the poor children.’ Over 250 Catholic children in Bridgeton were soon benefiting from these free dinners. Working in concert with Walfrid his colleague Brother Dorotheus implemented the same scheme at St. Mary’s in the Calton, taking over a disused blacksmiths in the school yard. By December 1885 the Penny Dinner scheme was providing in excess of a thousand dinners each week to youngsters of school age (and a few impoverished pensioners) in the East End. The chief difficulty for the Marists and the tireless volunteers of the SVDP was to sustain the fundraising efforts to keep the dinners going to meet the ever-increasing demands. Both Marist Brothers were aware of the enthusiasm of their pupils for the massively popular sport of football. After setting up youth leagues at St. Marys to encourage participation in organised games at school, separate youth clubs were established at Sacred Heart for current and former pupils. 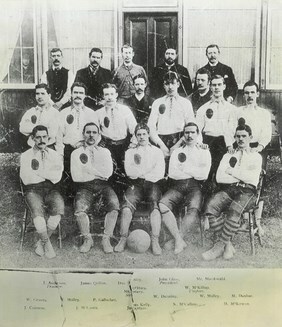 Walfrid regularly rented Glengarry Park in Bridgeton for his teams, one of which was called Columba and developed from the literary society that he had started. Research by Celtic historians Pat Woods and Tom Campbell discovered that in the competitions in which Columba featured a couple of the teams had ‘Celtic’ in their title. It is likely that Walfrid made a mental note of that name – whether it was ultimately chosen to represent the shared sense of Irish and Scottish identity has been a point of great debate since. It wasn’t long before the Marists realised that the new sport had advantages beyond keeping the youth of the parish on the straight and narrow. Such was football’s popularity large numbers of spectators were turning up at games involving established teams and paying an admission fee. Irish Catholic teams had blossomed throughout Scotland (Woods and Campbell identified almost forty before Celtic arrived on the scene) and the most successful of them, Hibernians of Edinburgh, enjoyed a big support in Glasgow. Not slow to miss a trick, Walfrid invited Hibs through to play a charity game against St. Peter’s Parish from Partick in September 1886. The game was held at Glengarry Park in Bridgeton and over one thousand spectators attended. As future Celtic player Tom Maley was to say many years later of Walfrid ‘he only had to knock and it was opened.’ And there were few doors he wasn’t prepared to knock on. Hibernian went on to win the Scottish Cup just a few months after their visit to Glengarry Park and their first stop on the victory trail back to Edinburgh was a celebratory dinner in their honour in St. Mary’s Hall in the Calton. Hibs were again back in the East End soon after their triumph, in another charity match organised by the Marist Brothers. This time Hibernian took on Renton at Barrowfield Park (the home of Clyde FC before they moved across the river to Shawfield in 1898) and just a couple of streets from Glengarry Park to contest the ‘East End Charity Cup’. An incredible 15,000 people turned up to watch the game – more than had watched the Scottish Cup Final – and the Poor Children’s Dinner Tables again benefitted significantly. This fact, alongwith the success being enjoyed by the Irish team which developed from the Catholic Young Men’s Society (CYMS) in Edinburgh’s Cowgate, planted a seed in Walfrid’s mind. In discussions which took place over the summer of 1887 Walfrid and Dorotheus pursued the idea of a Glasgow Irish team being established in the East End to provide a permanent source of financial support to the dinner tables. Key political and religious contacts in the main East End parishes were approached but it was St. Mary’s in the Calton, where John Glass, Dr. John Conway, Pat Welsh and John H. McLaughlan among others were based, that drove the Marist idea forward. Following a meeting at St. Mary’s Hall on 6th November 1887 a circular was issued confirming that Celtic Football Club had been established: “The main objective of the club is to supply the East End conferences of the St. Vincent De Paul Society with funds for the maintenance of the “Dinner Tables” of our needy children in the Missions of St Mary’s, Sacred Heart, and St. Michael’s. Many cases of sheer poverty are left unaided through lack of means. It is therefore with this principle object that we have set afloat the “Celtic”. 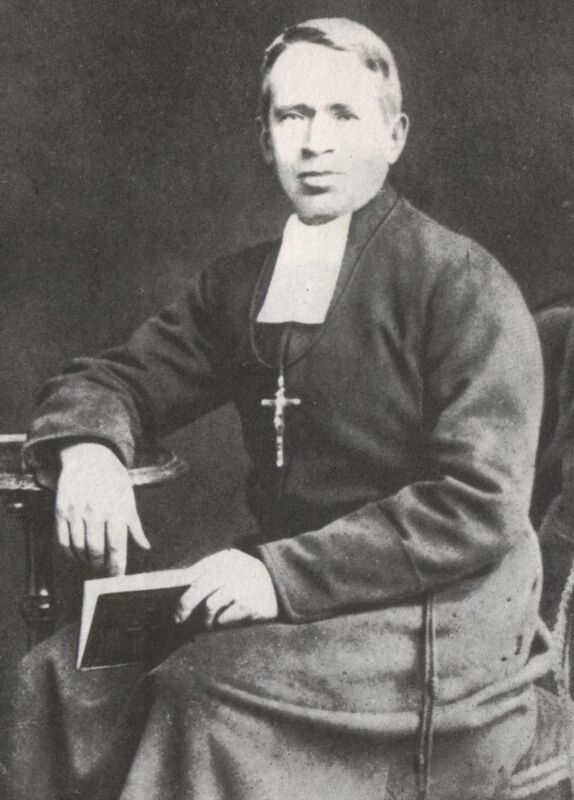 The Circular made it clear that the club had been set up by Irish Catholics and it was hoped that the could select a team which “will be able to do credit to the Catholics of the West of Scotland as the Hibernians have been doing in the East.” The new club’s constitution had been drawn up by Walfrid, who also argued successfully that the name Celtic (pronounced “Keltic” by Walfrid) be chosen in favour of Glasgow Hibernians. Interestingly, the new club did not follow the model of Hibernian and Dundee Harp in forming as a branch of the CYMS and thus restricting the playing staff to young men who were both Catholic and tee-total. 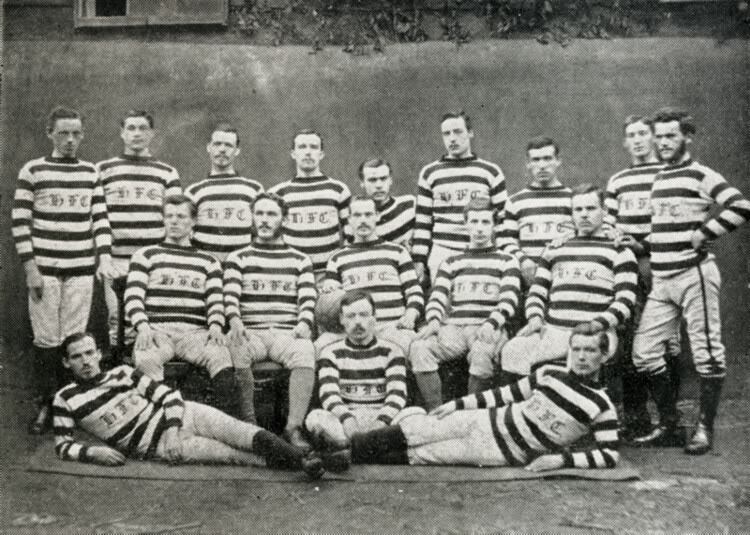 The new club was an immediate success, reaching the Scottish cup final and winning the North-Eastern Cup in its first season. The crowds who turned out to see this ‘Irish combination’ were phenomenal. Just as importantly the club handed over more than £400 to charities that first year with £164 pounds going to the Dinner Tables. Celtic went from strength to strength and in their fourth season the ultimate accolade in the game at the time – the Scottish Cup – was won against Queen’s Park before a record crowd of 40,000. Brother Walfrid’s joy at this breakthrough must have been tempered by the decision of his superiors in the Marist Order that he was to leave Glasgow to take charge of a school in Whitechapel in London’s East End. The East End of London was a notorious place at the end of the nineteenth century. 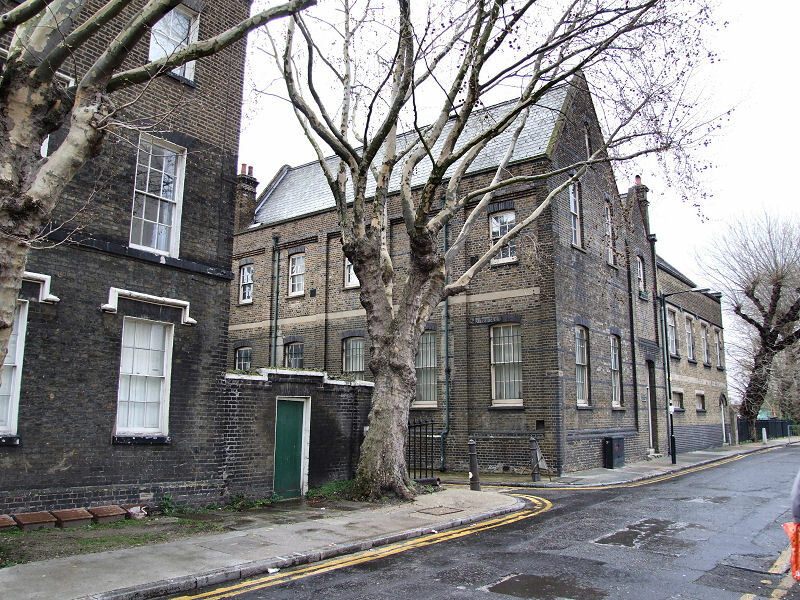 Walfrid was asked to take over the Marist school of St Anne’s in Buxton Street in Spittalfields in 1892. The Whitechapel area was renowned for poverty, crime and prostitution and life expectancy for male labourers was only 19 years. Only a few years earlier these streets had seen Jack the Ripper commit at least five different murders without capture. The same streets were home to thousands of Irish and Jewish immigrants. 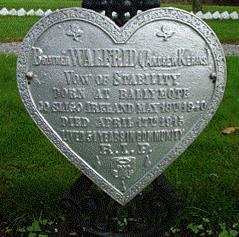 Walfrid was moving from the frying pan into the fire. For the next decade Brother Walfrid tended to the educational needs of this other inner city Irish community, applying many of the methods tried and tested in Glasgow. His work took him out of St. Anne’s School as he organised young men’s clubs and was also involved in the local Catholic League to improve Catholic representation in the teaching authority in Tower Hamlets. Despite being in his mid-Sixties there was no let-up in the enthusiasm and commitment of the Marist for the community he served. 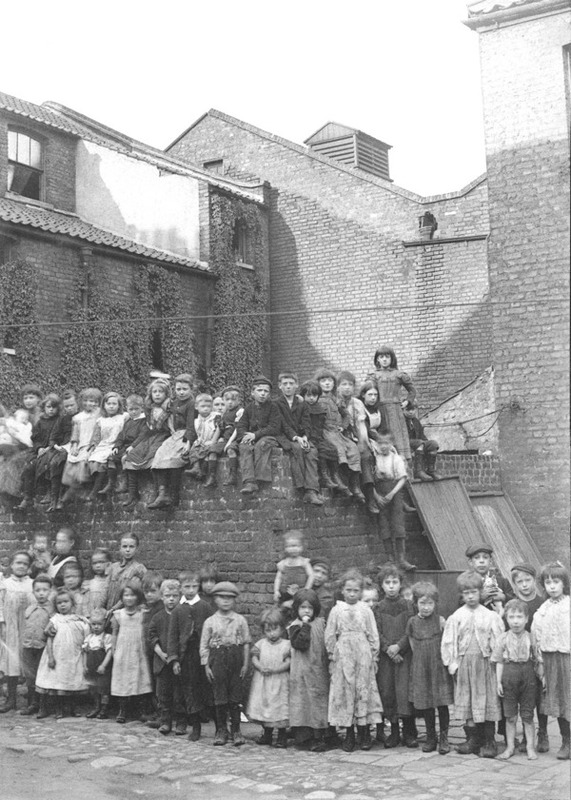 It is understood that as well as helping establish a local boys’ club in Whitechapel he was also instrumental in a scheme to provide free breakfasts in the winter months for children and the elderly alike. Despite working on beyond the Marist Order’s retirement age, the work of Brother Walfrid was not complete. The end of the nineteenth century had been marked in France by a strong anti-clerical zeal in French politics. Although largely a Catholic country, the influence of the Catholic church in the state school system caused concern and, in the fall-out from the notorious Dreyfuss affair, further restrictions were imposed on congregations such as the Marists. An anti-clerical coalition won the 1902 Election with the result that almost all religious orders were banned and their property seized by the state. Teaching congregations including the Marists were to be formally dissolved. 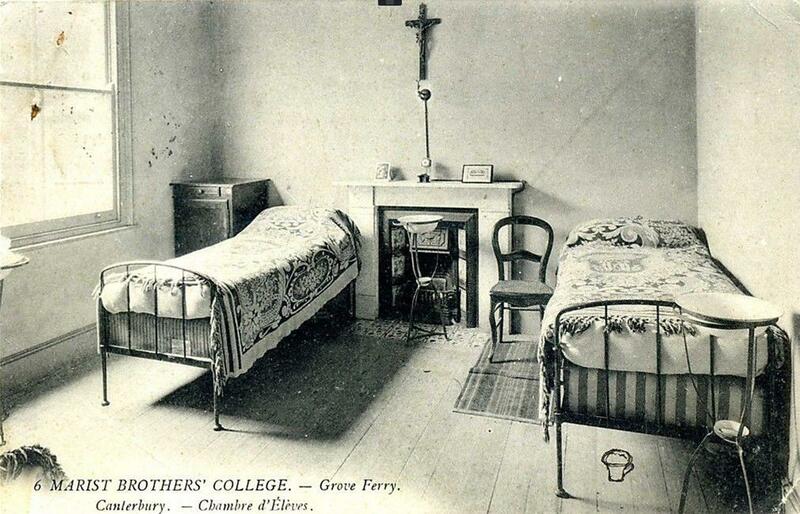 This meant the enforced closure of the Marist community, including the Novitiate House at Beaucamps, close to the English Channel, where Walfrid and thousands of other Brothers had studied. At that time it was home to over 150 boarding pupils as well as 30 Brothers. The Marists required to move lock, stock and barrel to a different country. Part of the Order transferred to Belgium; a number of Marist Brothers left Beaucamps for Brazil and today there is a community of over 1300 Marists in the South American country. England was the preferred destination for the novitiate school and the French superiors turned to one of their most trusted and respected organisers to oversee the move: Walfrid. Walfrid threw himself into the task and within a couple of years the Marist Order had a new Novitiate Headquarters established in the Kent countryside, six miles from Canterbury. 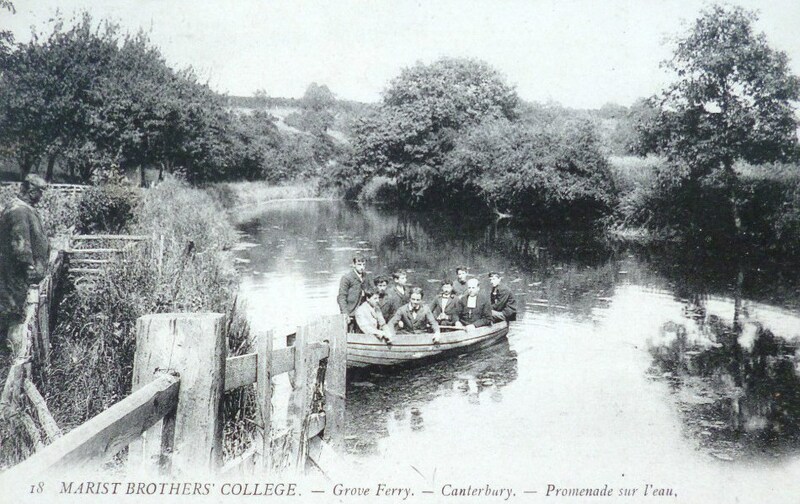 It was an idyllic setting on the Great Stour River and the prominence of French accents in the Kentish countryside turned a few local heads. The new Marist College was up and running by 1906 and photos taken at the time demonstrate Walfrid’s success in managing the project. The living quarters were austere, as would be expected in a religious institution of the time, but the building itself was impressive and the surroundings very comfortable. 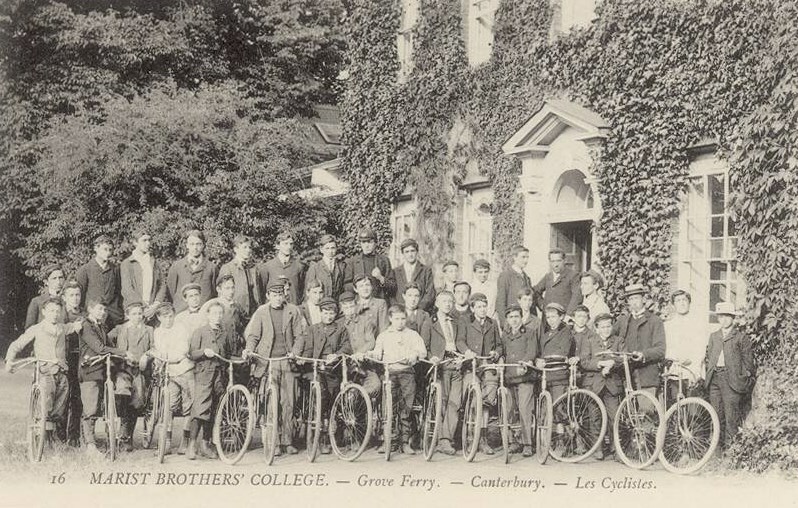 The photos show the congregation of pupils and Brothers cycling, on the river and even engaging in that traditional English pastime of cricket – although there’s no evidence of Walfrid’s influence pervading to the extent that football became an extra-curricular activity at Grove Ferry. 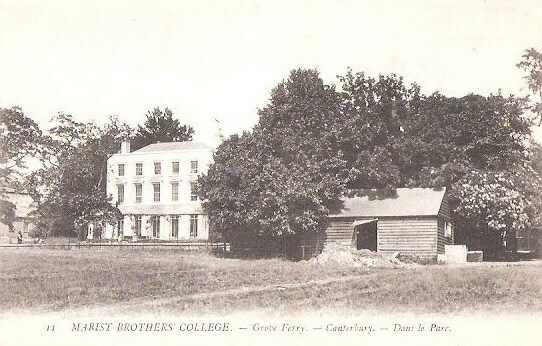 It is believed that Walfrid took up residence himself at Grove Ferry once the College was up and running. It was from there that he ventured to London in May 1911 to meet up with some old friends. Celtic had just completed an extensive European tour that month, taking in games in Dresden, Prague, Budapest, Vienna, Basle and finally Paris. The team at the time consisted of great names such as Quinn, McNair, McMenemy, Dodds, McAtee, Loney and Young and they had recently established a record-breaking six League titles in a row. Shortly before the tour commenced the Scottish Cup had been secured. On the party’s return from the final game in Paris they stopped over in London – and the guest of honour at their meeting was the grand old Sligoman. Only two photographs of Brother Walfrid are believed to exist. 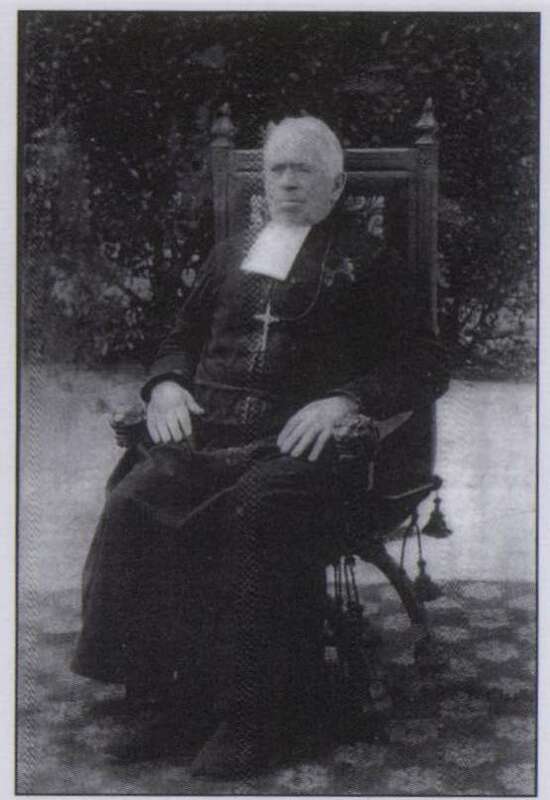 The latter features an elderly white-haired man wearing the cassock of a Marist Brother with a sprig of shamrocks over his heart: a proud Irishman throughout his days. The display of the shamrock demonstrated his continuing affinity with his homeland, even though he had left it many decades before. 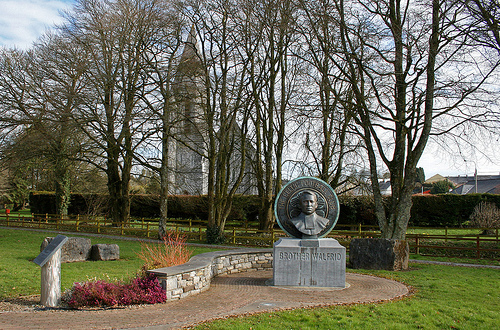 It is not known if he ever returned to Ballymote and his family even for a holiday. That was a sacrifice that he chose to make when he dedicated his life to the education of God’s children which meant he would go where directed to meet the needs of those communities that the Marist Order was set up to support. However his Irish identity, like that of the football club he established, was never in question. Brother Walfrid’s legacy can be seen today in the charitable work done by Celtic FC and its supporters. The club throughout its history was known for making generous donations and arranging games in support of charitable causes and these endeavours became focused under Fergus McCann with the creation of the Celtic Charity Fund in 1995 which is known today as the Celtic FC Foundation. Since its formal inception the Foundation has raised an incredible £8 million for local, national and international charities. 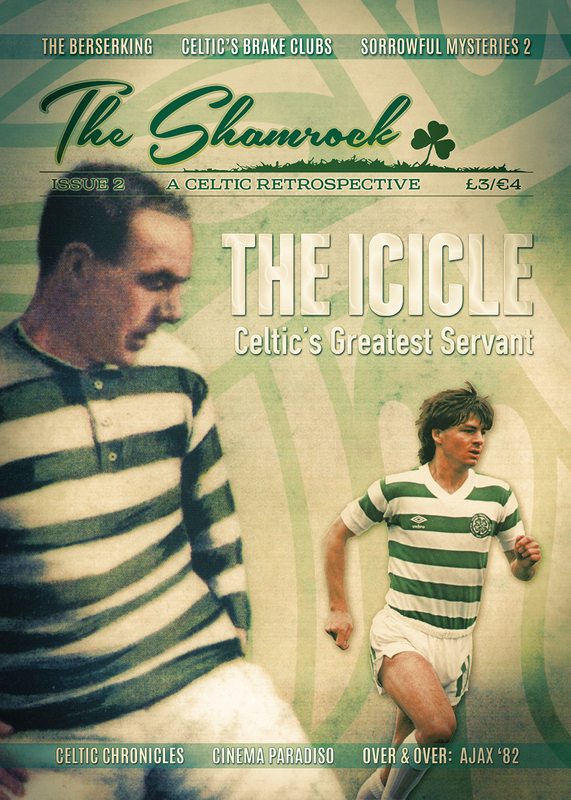 The Celtic support has also enjoyed a long reputation for its affinity with the cause of charity and this is wonderfully illustrated in the modern age through a wide range of supporter-led initiatives including the Thai Tims, Kano Foundation, Kibala Celtic and the recent Green Brigade foodbank collections. All of these great initiatives have attracted tremendous support from Celtic fans (and others) across Europe and beyond. 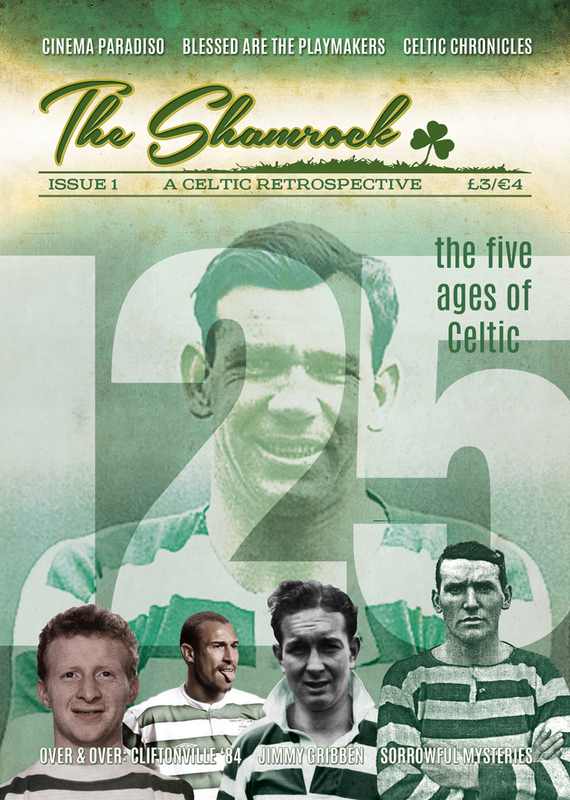 The creation of a football club was not an objective in itself for Walfrid – it was a means to an end. It was only one idea among many which he created to nurture and support the youngest members of an immigrant community in its darkest days. Famine forced him away from his family and homeland and his Marist vow of stability eventually took him away from his adopted city of Glasgow where he lived most of his life yet his Christian commitment to the education and care of the most vulnerable in society remained undimmed. The Irishman’s leading role in the creation of a football club now over 125 years old and loved and admired by thousands upon thousands of people across the globe means that his legacy of humble service and devotion in the cause of charity will never be ‘unknown and hidden’ in this world. 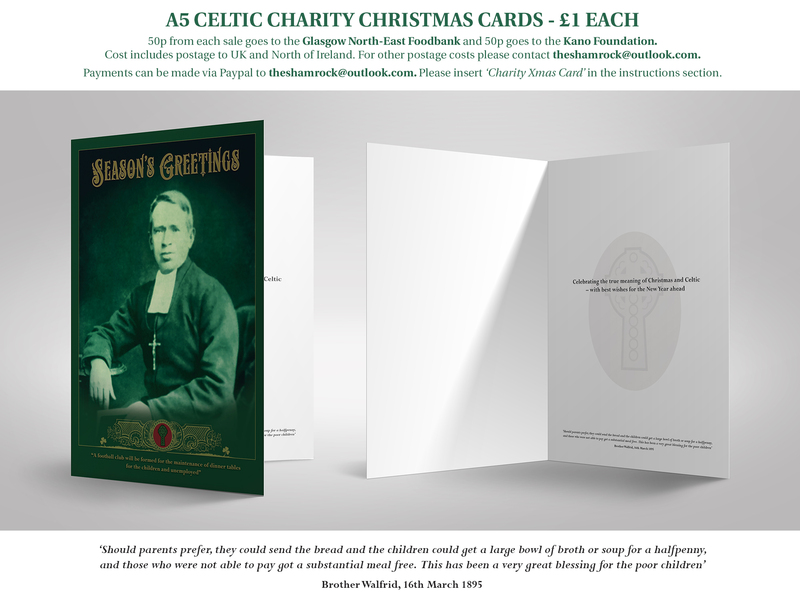 Back on the 28th November last year, forward planning to the max as always, we started promoting Celtic Charity Christmas cards. The promise was that for each £1 card sold, 50p would go to the Glasgow North East Food Bank and 50p to the Kano Foundation. In less than two weeks we sold out the first batch of 300 cards and after re-ordering sold almost 500 in total. 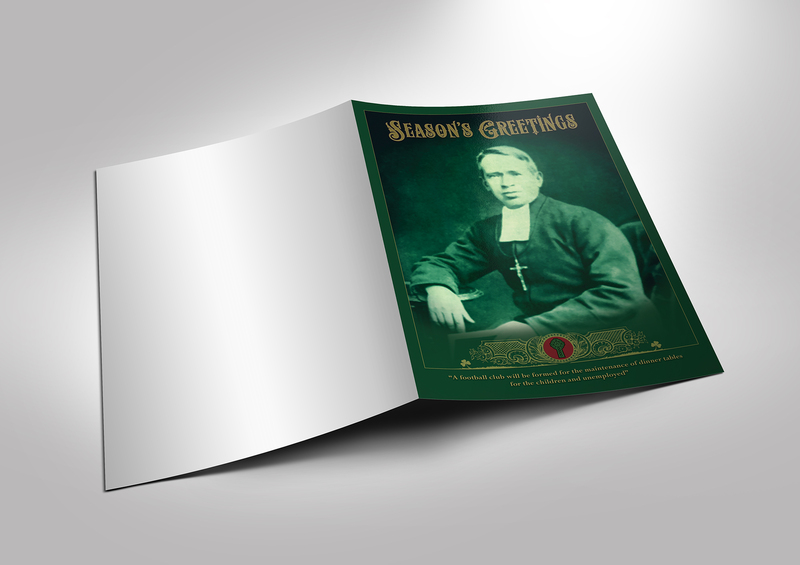 Thanks to all the supporters who purchased the Brother Walfrid-inspired cards we raised £230 for each charitable organisation. Both groups have extended their gratitude to the fans for supporting this initiative. We hope to do even better this coming festive season – and might even get them on sale that bit earlier. Please watch this space.